Easter is upon us, the weather is warming and spring is in the air. For me, that means one big thing: baseball season. Instead of inundating you all with stories of amazing plays and once in a lifetime experiences from watching my kids play ball, I want to tell you about a movie that I love. 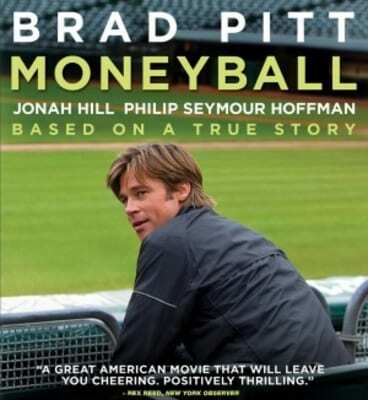 I don’t think it gets the praise that it deserves for the story it tells; Moneyball. Yes, it started as a book, but I watched the movie, so that’s what I’m going to talk about. Moneyball has taught me a lot of lessons in life, both personally and professionally. Many professional columnists have weighed in on the Moneyball effect, and to be honest, they say it a lot better than I ever could…here are a few of the takeaways…. Baseball season is here. The lessons we can learn from sport as children carry throughout our lives much of the time. We are not too old to learn new lessons, even from a game of catch. The next time you’re bored and looking for a movie, consider Moneyball and see if the lessons carry with you. Here at HG Logistics, we don’t have a room full of people with titles. We have a company of doers. People who know what needs done and they do it. We believe in ourselves and our product; our service. We work together to overcome roadblocks…sometimes literally! We work as a team and use lessons to grow and improve. If a company like this is what you’re looking for, contact us. You can reach out to our General Manager, or any of our team players at 513-244-3026.